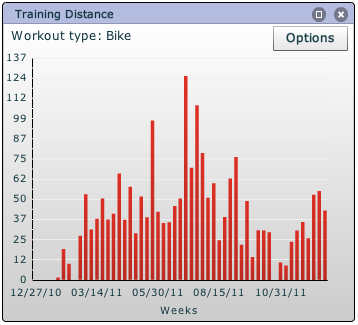 It's no secret that I enjoy numbers, graphs, charts, and statistics. (Never mind my counting impairment in the gym and pool). 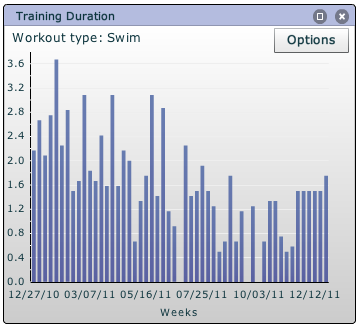 Given that, I thought I'd share a snapshot of my training year from Training Peaks. 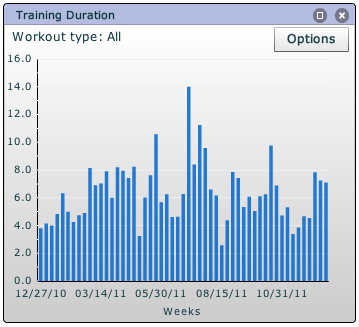 We all know these numbers are only one side of the story - they don't reveal the quality, the intervals, the time trials, the drills, and the specific intents (or the sweating, groaning, or occasional cursing). The graphs are fun because every peak, valley, and trend line has a specific meaning to me. It's human nature to compare, but training is highly individual so what works for me, my life situation, and my goals is probably not ideal for others. Just getting out there and doing anything physical that you enjoy, for any amount of time, is what matters. I do less than a lot of triathletes, maybe more than some, so no comparing!! I give Coach Jim tremendous credit for getting the absolute most out of me in the most efficient way for my time-crunched life. 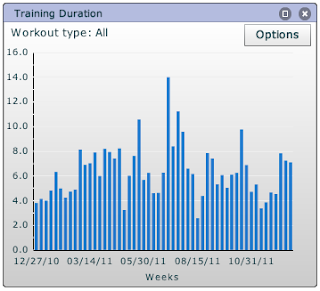 These charts represent close to 400 workouts, each one tailored to my needs, abilities, and ever-changing physical and mental (!) state. (multiply this times all his athletes, that's a head-spinner). I cannot imagine navigating this sport without his direction, accountability, and feedback. 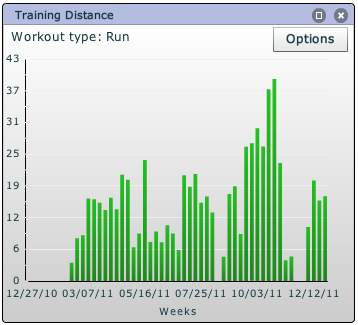 So I give you the year in training, to go along with the year in pictures!